Navy Petty Officer 3rd Class Alejandro Benitez has deployed to the U.S. 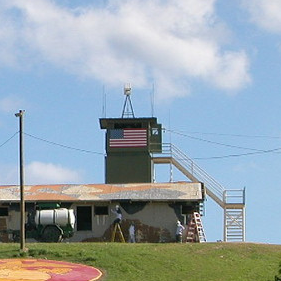 Naval Base, Guantanamo Bay, Cuba, to serve as a member of Joint Task Force-GTMO. Service members from all branches of the U.S. armed forces are involved in a joint-military operation whose mission is to conduct safe, humane, legal and transparent care and custody of detained enemy combatants. Benitez is a pharmacy technician with three years of military service. He is the son of Alejandro and Maria Benitez of Jesus Martin Lane, Rio Grande City, Texas. His wife, Susana, is the daughter of Jesus and San Juanita Marroquin of Elias Lopez St., Rio Grande City. The petty officer is a 2003 graduate of Roma High School, Texas.